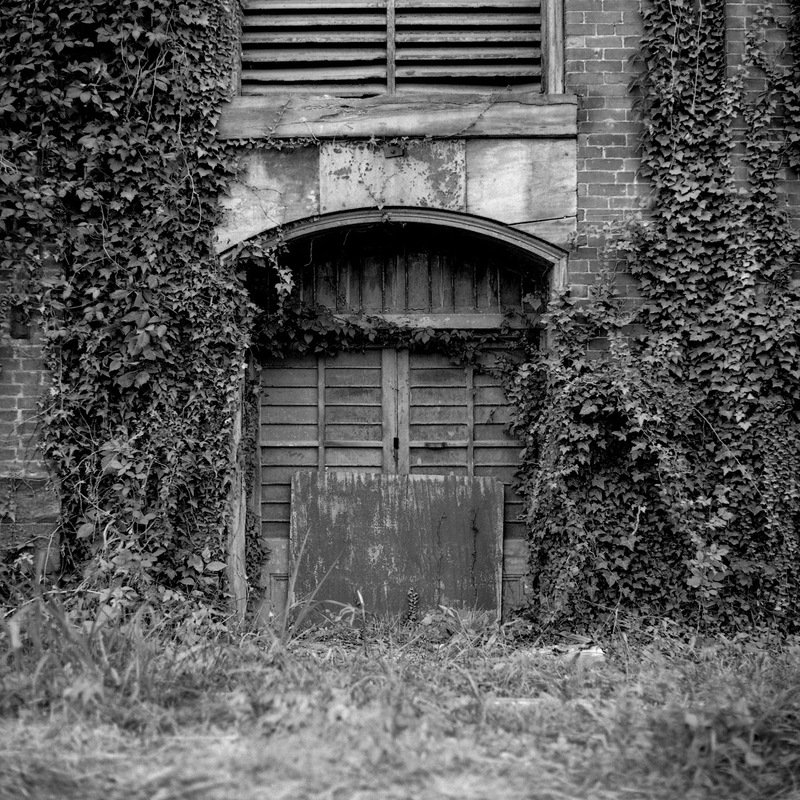 Kiev 60 Arsat 80mm f2.8 Fujifilm Neopan Acros 100 Caffenol-C-M plus Salt - Two columns of Ivy stand guard over this door, with crossed arms barring entrance. Caffenol always seems to bring a vintage looking tonal range, great for subjects like this. Scanned with an Epson V500 Photo using Epson's OEM software.